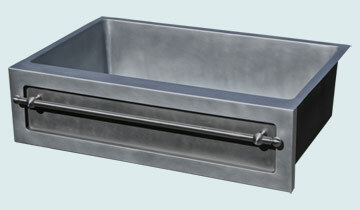 Custom zinc towel bar sinks from Handcrafted Metal are available in a variety of shapes and sizes. Click on any sink below to see more pictures, and customize it according to your specifications! Each sink is available with drop-in mount, under mount, or flush mount rims.